Zincogam s.p.a. began its activities in 1991 to meet the need to galvanize hot tanks manufactured and marketed other company of the same members, the Giurgola Ltd. (ex F.lli snc Giurgola) operating on the market since 1980. Later, with the spread of the culture of hot-dip galvanizing, the service is extended to third parties. With an ongoing commitment on the pace and quality of work the company has achieved these objectives to be asked among the most efficient in the industry. With the production capacity of its new plant (13.00 x 1.80 x 3.20 ml), at the forefront, the company is now able to treat types of material larger than one could work in the previous system. Environment: The plants have equipped with efficient ecological systems; we would like to highlight the achievement by the Puglia Region, Integrated Environmental vigorously no. 298 of 06/07/2010. 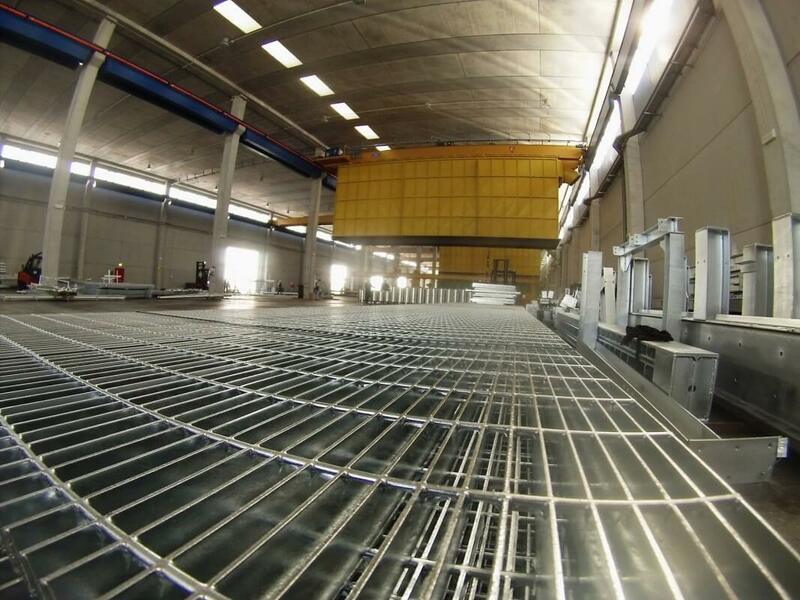 We are in the sector of hot-dip galvanizing dal’aprile 1991 and more than 26 years we have gained experience as to merit respect from customers and partners. We have a total area of ​​37,000 square meters of which 9,700 are covered. From this year, with the opening of the new plant also has “spin” for galvanizing of small parts and /or accessories small, we can work artefacts iron / steel within the following dimensions: ml 13.00 x 1.80 x 3.20. Upon request, we provide the transport service with delivery of the material usually within 48 hours of collection. Following the phone call we provide the service of “galvanizing in the day”, that delivery of the raw material at our factory within the hours of 07:00 and withdrawal of the same, galvanized by 12:00. The results over the years and targets for the future are behind the value of the people involved in the work process, because beyond the technological and technical means, which are also important, as always our belief is that a ‘company consists first of all by people. There are zinc mines throughout the world, but the largest producers are Australia, Canada, China, Peru and the United States. In Europe, the most important mines are in Belgium and in Sweden. For use in industrial processes, zinc is subjected to refining from which the most common derivatives are: Zinc HG (High Grade Zinc) with a purity of 99.95% – Zinc SHG (Super High Grade) with purity of 99.99%. About a quarter of the entire world production of zinc is used in the form of zinc compounds. The zinc oxide zinc compound is probably the best known and most widely used: an excellent basis for white pigments and is found in many paints. It is also used in the rubber industry and sold as sunscreen. A wide variety of other compounds find application in many sectors of industry. The zinc chloride is used in deodorants; zinc sulfide phosphorescent paints, and zinc methyl is used as a reagent in organic chemistry. With hot-dip galvanizing is generally understood as the immersion of the steel/iron in a tank containing molten zinc on average at a temperature of 450° C. This process, however, can not be separated from a complete cleaning of the articles to be galvanized and this operation is achievable with a chemical pretreatment in different steps: degreasing, pickling, rinsing, fluxing which allow to remove oil, grease, rust, calamine present on the surfaces of ferrous articles. The other operations to be performed before immersion in hot zinc preheating and drying. 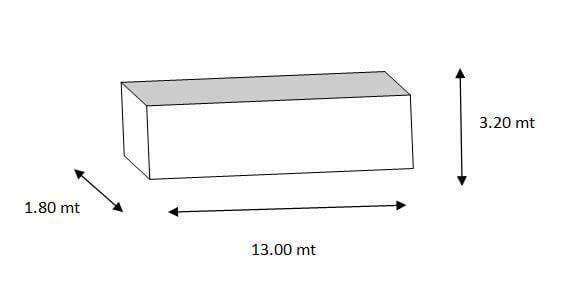 This step occurs at a temperature between 80 ° C and 100 ° C and allows the material to dry out and to limit the deformations that would occur due to thermal shock. After this phase, the artifacts are ready to be immersed in the zinc bath. Speed ​​of immersion and dwell time depend on the type, weight and size of the same. Adherence to the above actions allow the zinc to be absorbed in the steel giving superior corrosion resistance compared to other types of zinc plating (electroplating, cold etc …). In addition, singular feature, thanks to the property galvanic zinc protects the iron even in case of impact or abrasion which have led to a detachment of the protective coating and this is because the zinc, present in the vicinity of these areas, one sacrifices deposited on surfaces findings with total guarantee of protection against corrosion. 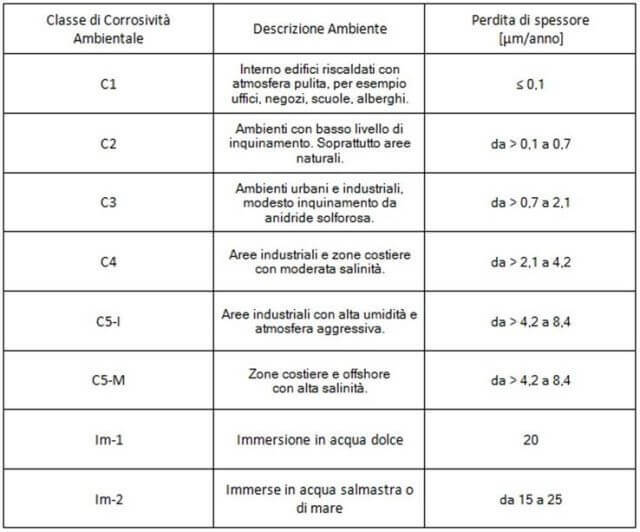 As regards the duration of hot galvanizing, as the table shows, the duration of protection depends on the place in which is placed the material. Each artifact iron which must be subjected to the process of hot-dip galvanizing needs only to be suitable for processing that is necessary to ensure that its technical characteristics (size and structure) and surface (absence of written paint, sprays, oils calamine etc …) are adequate the labor process. For these reasons, it is highly recommended to those who must build structures to be galvanized, make contact with our qualified staff. The 1772 Bologna Luigi Galvani discovered the electro-chemical process that takes place between metals in the course of an experiment. 1837 Stanislaus Tranquille Modeste Sorel used for the first time the use of the term galvanizing. Through the process of electrolysis is able to apply a thin layer of zinc to metals. In the same year recorded the first patents for hot dip galvanizing. 1870 opens in the United States of America the first plant of hot-dip galvanizing. 1883 The Milan businessman Louis Origoni based to a service center for the protection of steel against corrosion. Opens in Milan the first Zincheria in Italy. The Eiffel Tower, Paris landmark and symbol of the whole of France, was designed by Gustav Eiffel and built between 1887 and 1889 to commemorate the French Revolution that took place 100 years before. The Tower appeared immediately as a revolutionary design, light and with plenty of light (both for aesthetic sense to oppose little surface to the wind so as to allow the presence of foundations not too extensive): what did the Tower a structure relatively inexpensive to build and very nice to see. But it was not galvanized steel. The size, geometry and height of the tower demanded over the years and still require maintenance work particularly difficult. The men of the maintenance teams agree in ‘state: “It’ s more important to be a good climber more than a good painter.” Maintenance operations take place every seven years and the last one lasted 14 months, using 60 tons of paint that should play an ‘area of 200,000 square meters. During this operation, the 320 meter tall tower are reviewed from top to bottom by a team of 25 painters that remove rust, bird droppings, the paint has come off and recover the damages caused by ‘city pollution. Stunned by the cost and complexity of the work involved in the maintenance of this national monument, where the painters have to use hooks, ropes, safety nets and intermittently (for example, you can paint in the morning before the dew has evaporated) , a German expert corrosionista did a hypothetical calculation of the money would have been saved if the ‘steel tower had been galvanized before being put into operation. He did a ‘cost analysis comparing the real system alone paint with a so-called duplex system, where the steel is first galvanized and then painted. With a duplex system any damage to the paint does not lead to corrosion of the ‘underlying steel as it continues to be protected from zinc which is under the paint. If the ‘steel Eiffel Tower was galvanized before being painted, would be sufficient only 7 sessions of maintenance, compared to 17 who have instead been held since 1889. The first session of general maintenance (cleaning the surface, apply a primer and subsequent application of paint) for a duplex system is made after about 25 years. After this, specific maintenance (only adding paint) and general maintenance take place either after 5 or 7 years. What does it cost? Based on the level of prices and wages, and by agreeing to present an obvious purchase price of the large amount of paint needed, galvanizing carried out before painting (duplex system) would have already saved $ 10 million in maintenance costs. Using today’s prices to calculate the cost of construction and erection of the tower, these savings amount to 50% of construction costs. Although this comparison is humorous, it highlights the ‘importance of the maintenance costs of new infrastructure projects. Thus, when designing new buildings for the future, it will better protect the ‘steel with zinc! To continue to ensure the satisfactory results achieved over the years, our company can not do without Technical procedures that accompany each stage of processing. Our process of hot-dip galvanizing provides only the use of certified raw materials and does not cover the use of lead. Since 1999, we operate under a system of quality “ISO 9001/2000” rilasciatoci Ente DNV (Det Norske Veritas). On 06/07/2010 we have obtained the Integrated Environmental Authorisation certificate issued by the Puglia Region with order no. 298. The technical standard of reference for hot-dip galvanizing is UNI EN ISO 1461 (ed. 2009) which governs the requirements concerning the characteristics of the coating, acceptance criteria, monitoring methods. UNI EN ISO 14713 (Ed. 2010): This standard specifies the guidelines and recommendations for the corrosion protection of steel structures and ferrous materials obtained by zinc coatings. The first part shows the general design principles and corrosion resistance. EN 1179 (Ed. 09/2007) “Zinc primary” discipline classifications, chemical compositions, markings and other requirements related to the primary zinc. It does not include any requirement of a secondary zinc produced by fusion. UNI EN ISO 2178 (Ed. 02/1998): The standard specifies the method of use of instruments for the measurement of the thickness of the magnetic type. PRELIMINARY AGREEMENTS: Service hot dip galvanizing, necessary to prevent the formation of rust on steel or iron structures is carried out in accordance with the UNI-EN-ISO 1461 ed. July 2009. In order to perform this service in a workmanlike manner, it is desirable that the customer interfaces with the technicians of ‘company to verify the correct preparation of the material. In particular, the personnel will have to verify if they have been correctly provided the holes for inlet and discharge of liquids present in the phase of “pretreatment” of the work process and zinc in the final stage, or to report any anomalies techniques on the very structure of the article. The company may grant any exemption, approved and signed by the client, just when this would result in a slight decline in the overall quality and will never be waived by the necessary parameters when they may have impact on the safety of workers. PLAN OF STRUCTURES: As for the “preparation” of the article to be subjected to hot-dip galvanizing, the UNI-EN-ISO 14713 is specific to recommend the proper preparation of the products. During the phases of assembly of the articles to be galvanized, it is possible to detect the non-presence of inlet holes and vent. In this case the products will not be subjected to processing prior to their “fitness”. The zinc works will inform the customer who must provide for their own care costs and the withdrawal of non-compliant materials, or you can allow the changes to be made ​​at the same zinc works by its own staff or, for convenience, will be the same staff to carry zinc works the necessary corrections (with written consent by the customer). RESPONSIBILITY: The buyer at the time of delivery of the materials to be galvanized, tacitly ensures that all individual objects meet the requirements of the general conditions of supply and the agreements made with the zinc works. The personnel in charge of the assembly phase of the material can visually detect any defects on the preparation of manufactured articles but cannot ensure a total control when it comes to verify internal parts of structures with particular characteristics. The galvanizer cannot be responsible for any defects in workmanship when these are due to missing or insufficient preparation of artifacts galvanic treatment. ORDER: The main pointsto be specifiedin an orderare: size, quantity,technical rulesofreference, delivery and collection, conditionsand terms of payment, validity. For all matters notexpressly provided forby the orderwill beadjustedin accordance with thesegeneral terms and conditions, the usesand customsand the lawsin force. PRICE: The price of the hot dip galvanizing is calculated on the weight of the material “outgoing” ie Treaty, or “body” to certain products with particular characteristics, and varies depending on the types of work. It is expressed in euros for ton. If the price is not indicated in the order or in the absence of the order the price will be commonly applied by the zinc works according to the price list found at the business premises. TERMS OF DELIVERY AND PICK MATERIAL: The order shall state the amount due and working days to process the same. The order may provide for penalties for the zinc works for non-compliance of agreed terms. Unless there is agreement signed by the parties, the cancellation fee will never exceed 10% of the value of the work performed unless greater damages than the manufacturer must demonstrate that they have incurred. In the event that the delay in the delivery of galvanized materials exceed 10 days provided for in the order, the purchaser may, in addition to the application of penalties, to cancel the order and provide for the collection of the materials at the expense of the zinc works . In case of return of the goods to be paid by the buyer, the delivery date will be the date on which the zinc works give written notice to the buyer of the goods are ready to retire or, failing that, the delivery time will be usually charged by the zinc works for work of similar types of material. When the withdrawal is made by the customer, the order must specify the period within which the operation of such notification must be made in writing or by telephone of the zinc works, in the absence of such an indication, the term is intended to eight working days. After this time the zinc works to pay a penalty equal to ‘1% per week of the value of the work performed as compensation for the occupation of the storage areas of goods. If no decision that period, the zinc works will bill you for the amount of work performed and shall be effective from the time also agreed terms of payment. After five calendar months from the date of notification of goods ready to retire without the buyer has already done so, the zinc works will sell, to the detriment of the customer, the goods are not collected at the price of scrap or to better realization. The zinc works may withhold, offset its credit, the amounts derived from the sale of goods. FORCE MAJEURE: All delivery times, preparation, collection and / or delivery shall be considered suspended, and thus ineligible for the purpose of contract terms, should they occur due to force majeure. In particular will be considered force majeure socio-political events, natural disasters, strikes by influential groups with the activity in question, power failure, serious injury or damage to plants whose size is such as to prevent, to In fact, the normal course of economic activity. The part that should be in such conditions shall, to the extent possible, immediately notify the other party. If the force majeure event, and with it the inability to fulfill the terms of supply and / or delivery contract is relied upon by the zinc works, the contractor will be free, in its sole discretion, to decide whether to withdraw their goods, including non-work or whether to wait for the resolution of circumstances occurred; In this case, neither party shall be considered in default of the other terms of the contract. Azienda che opera 40 anni nel mercato dei serbatoi per lo stoccaggio di acque e idrocarburi.